My dear friend Sally commented on my recap post of my March goals. She mentioned that 2013 seemed to be slipping away and flying by. I agree with her and always feel the same way. Where did the time go? This was a great quote from my February “To Read” book: Life On the Wire. I encourage you to start now. Commit to a goal — just one goal — for the month of April. See it through for the next 30 days. Reevaluate at the end of the month. How did that commitment make you feel? I’m a big believer that small is better than never and always easier to commit to than perfect. If you wait for perfect, then you will wait forever. New month and new goal. As I’ve said before, I continue to improve upon my previous month’s goals. I just add another goal to the mix; I build upon my foundation. My January goals feel like habit. February is getting better. March still requires focus and discipline. 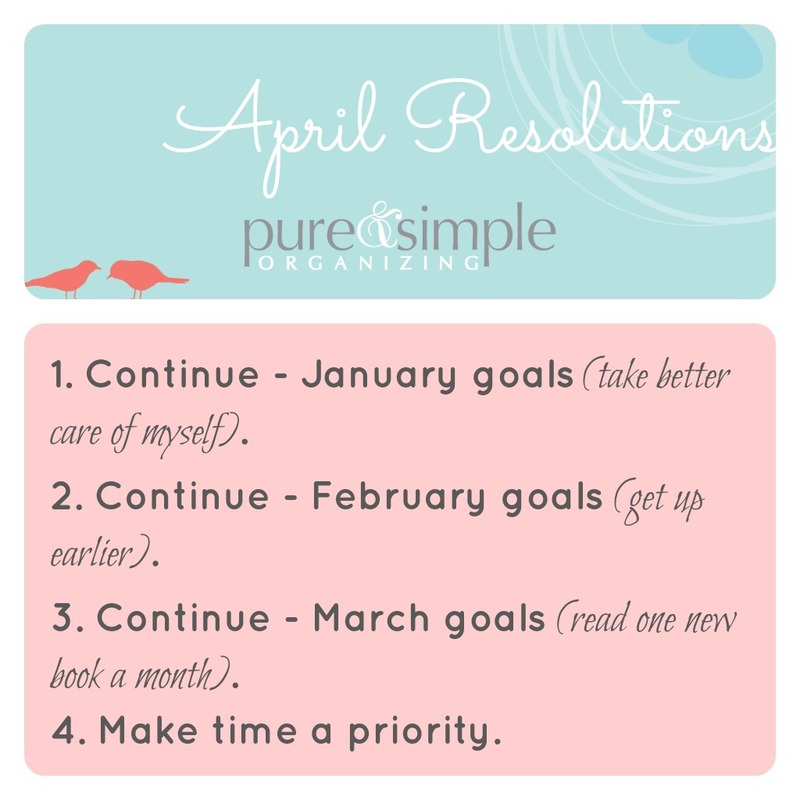 April is the month I resolve to make time a priority. I will value my “yes” and my “no”. I will not die a slow death from a thousand opportunities. Before answering or committing to anything, I will stop, think, breathe. Focus. Streamline. Enjoy. Continue to drink water, exercise 3 days a week, and eat more fruits and veggies. My wake up time for the month of April is 7am, and it started today. 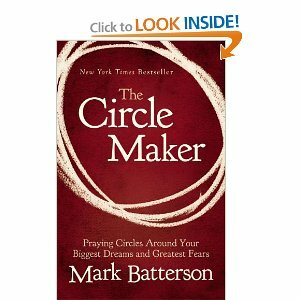 My book for April is: The Circle Maker: Praying Circles Around Your Biggest Dreams & Greatest Fears. True to form, I read 3 chapters this morning. It is wonderful! I worked with Laura Vanderkam, author of 168 Hours: You Have More Time Than You Think, on a time makeover. More to come on that, but tracking how I spend my hours and days is an eye opening experience When I feel that my life is out of control with too many “yes”s, I plan to track my time. I move forward you first need to know where you are. How do you make time a priority? Staying true to form for my third month, I’m checking in on my March goals. My January recap can be read here. My February recap can be read here. 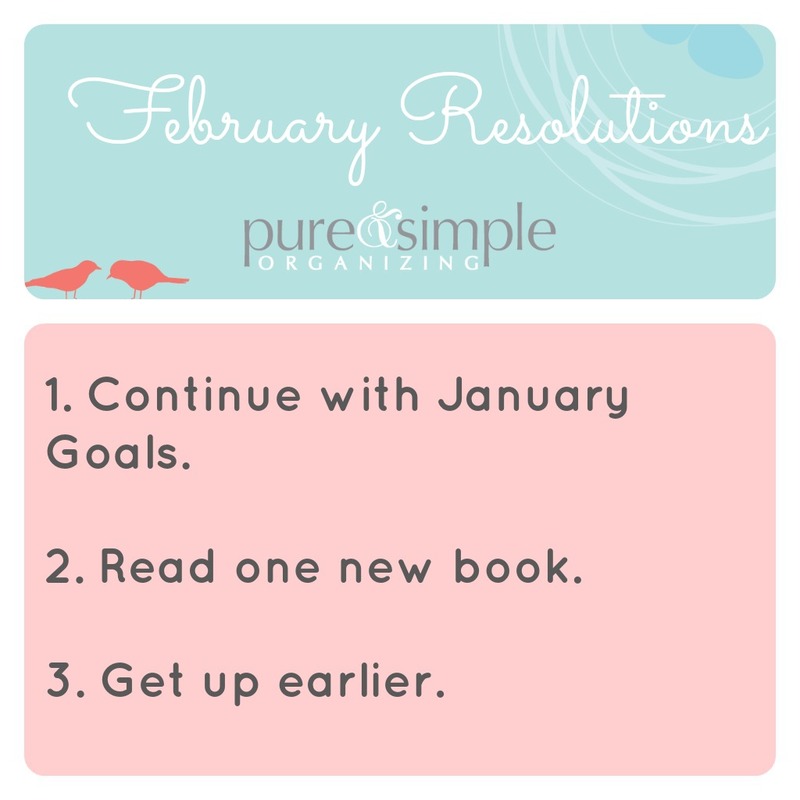 I’m consistently focused (and doing well I might add) on my January goals. Drinking more water, eating more fruits and veggies, and not skipping meals. All good. I finished reading Getting Things Done and Rhinoceros Success. 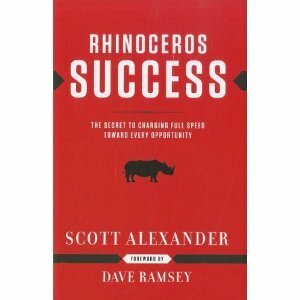 I LOVED Rhinoceros Success and highly recommend the easy and short read to anyone. I finished my book review of Rich Dad, Poor Dad. I have 3 chapters left in Life on the Wire before that book review is complete. I did pretty well this month! I had to focus and force myself to make time for reading and typing up the book reviews. I tend to do this in the early mornings before I start my day, before I check email, before anything. If I put it off, then it won’t happen. Reminder of my 2013 New Year’s Resolutions or what I like to refer to as my Yearly Goals. So new month which means a new set of goals. 🙂 I love setting goals for myself personally and professionally. I also love having them broken down by month. Much easier to swallow and tackle! To recap, I blogged about my January progress here and February progress here. March is the month to learn! 🙂 I love reading books and I love those “self-improvement” style of books. January I read “Life on the Wire” and loved it! February I started “Getting Things Done“. GTD is a little dated and a harder read. I’m not flying right through it which is a bummer. I plan to finish GTD this month and read Rhinoceros Success. 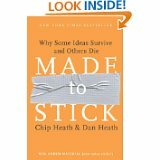 What is your favorite “self-improvement” book? I would love to add it to my list! I’m crazy weird when it comes to reading. I just have to type up a book review after each book that I read love. It is the student in me. 😉 I plan to type up book reviews for books that I have read in the past few months and for any new books going forward. Life on the Wire; Rich Dad, Poor Dad; Shed Your Stuff, Change Your Life. I plan to achieve this goal by reading in the mornings (you know that new found time I have by getting up earlier), and typing out the book reviews at night. I tend to veg in front of the tv in the evenings. Typing up a book review doesn’t require silence like reading, so I plan to multi-task. 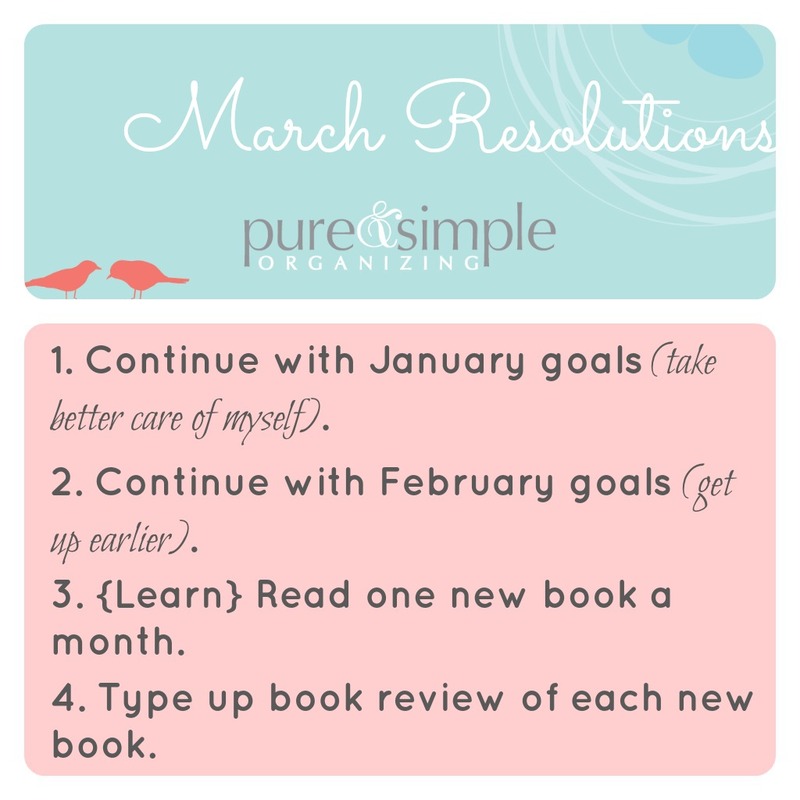 Last week I wrote about my January resolution status. I did okay but plan to keep working on it for February. So to the January goals I will add, “I resolve to get up earlier”. I love the “idea” of being an early bird. I’m just really bad at the follow through. My general wake up call comes in around 8am — that is if I don’t have an early morning session or meeting. I wouldn’t consider 8am as the ideal early bird waking hour. Roadblock? I stay up way too late. Raymond is a night owl. A really annoying one. My “Why”. I love the idea of getting more out of a day. When I wake up late, the day is started off on the wrong foot. If I sleep until 9:30am, then lunchtime is here before I know it, then 3pm, then bedtime. Where did the day go. I’ve recently read 168 Hours and Life on the Wire. Both books talk about finding out what you want to do with your time and then do it/schedule it. Getting up earlier will help find that precious time. 2. Give myself a break. If I’m in the middle of a good movie or show, I will record the remainder and catch the ending some other time. 3. Set a wake up time and stick to it. 7am is also achievable. Ideally I would get up every morning at 6:30am. 4. To get to 7am on a consistent basis, I will shoot for 7:30am for 2 weeks (starting today), then move it back 15 minutes each week until I reach my ideal time. 5. Keep it going on the weekends. Schedule something fun for the mornings on Saturday and Sunday. Yoga class. Coffee with a friend. Estate sale. 6. Get a move on. Morning workout or at the very least take Cody for a quick walk. Get the blood pumping! 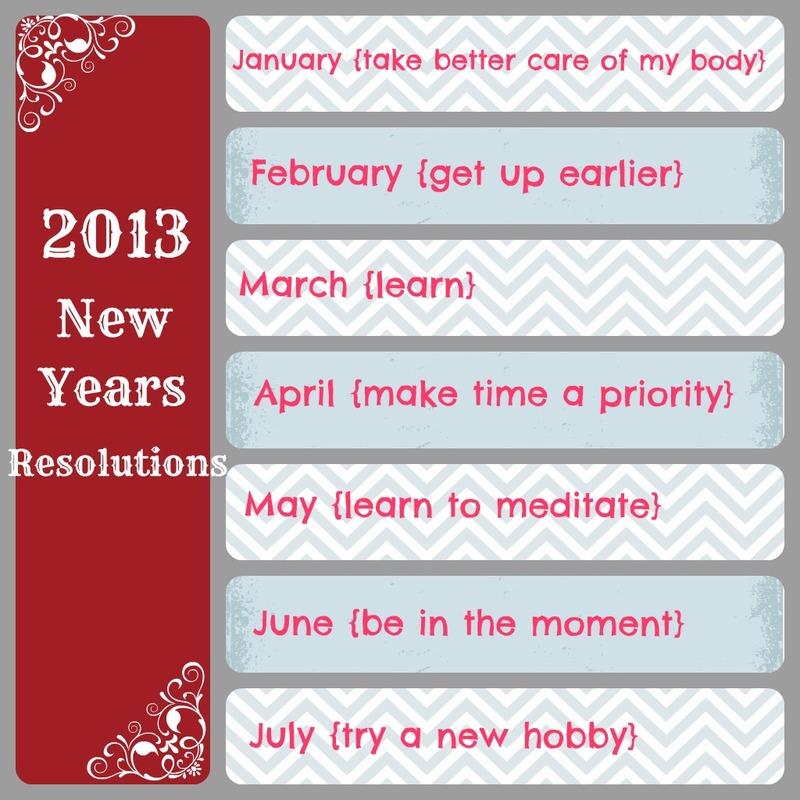 But I also promised that I would blog about ways to keep New Year’s Resolutions. What does “healthy” mean to you? Eating better for your body. Working out and moving more often. Taking better care of yourself. One reason this resolution is so easily left by the wayside is the enormity of it. The responsibility is too large and too vague. Break it down and define it. When you feed your body what it wants, it thanks you. When you drink a lot of water, your kidneys are happier. When you eat fruits and vegetables, then you have more energy than when you eat greasy burgers and fries. Sugar is a sneaky thing. A lot like salt. It is hidden in everything. A serving of spaghetti sauce can have as much sugar as 2 chocolate chip cookies! The AMA recommends no more than 24 grams of sugar per day for the average American woman. Comes out to roughly 6 teaspoons. Read labels and eat fresh! Going hungry does nothing for you. I can attest to this. When I skip breakfast, it is a rough morning for me. I barely make it to lunch and then when I do … I feel horrible as my body tries to break down the food for nutrients. Knowing your weight could help you manage it. When you see … in writing … what you put in your body, then you can know what to change and improve upon. Most people I would imagine get around 6 hours. Did you know that sleeping can help boost your mood and outtake on life? Don’t forget about the weekends either — sleeping in is a no-no. You are your top priority. Not your job. Not your kids. Not your husband. Whatever that might mean — pedicures, massages, spa days, girls night out, some alone time in the morning to read. Throughout the day, it creates and sends you little pop-up reminders of the things that you are working toward! 🙂 Fun! Research shows that the keys to keeping resolutions are achievability and specificity. Can you do it? What is it that you want to do?